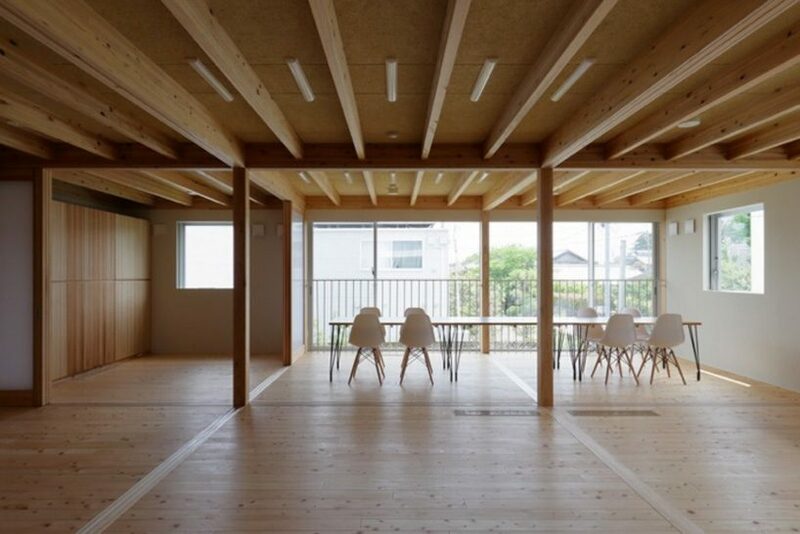 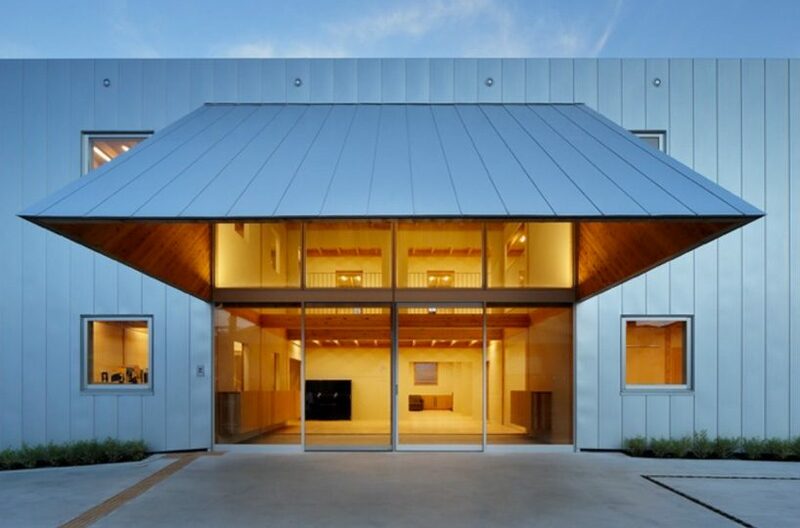 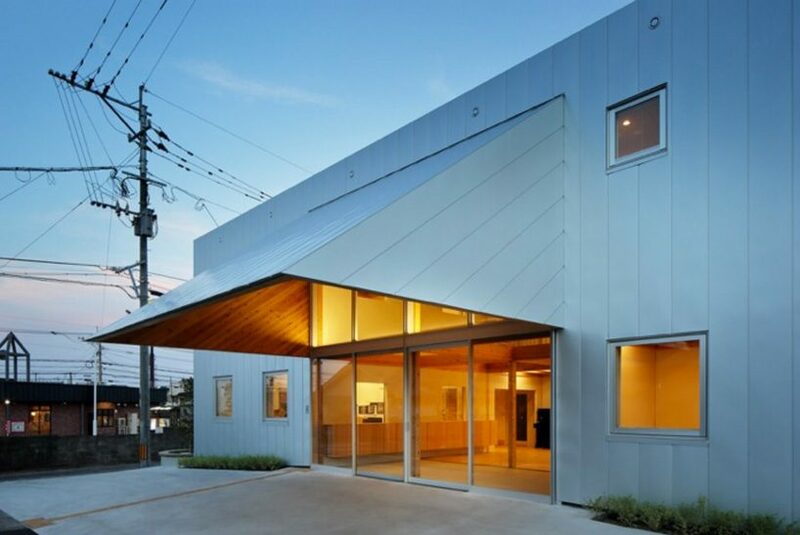 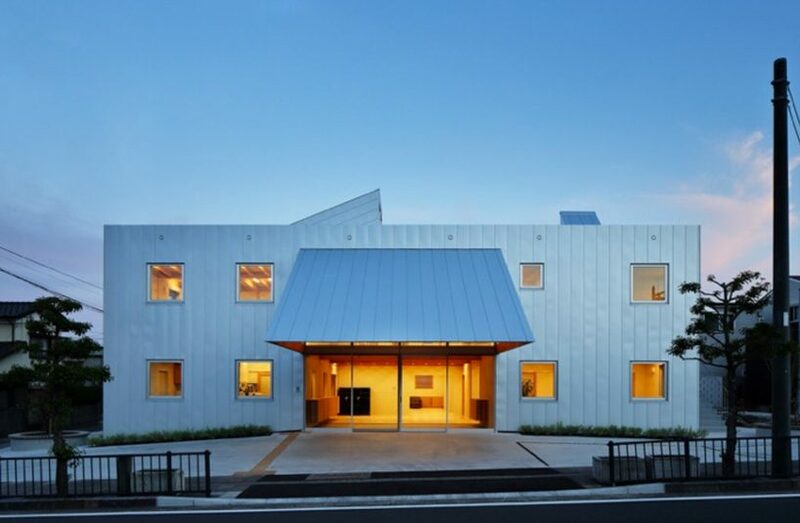 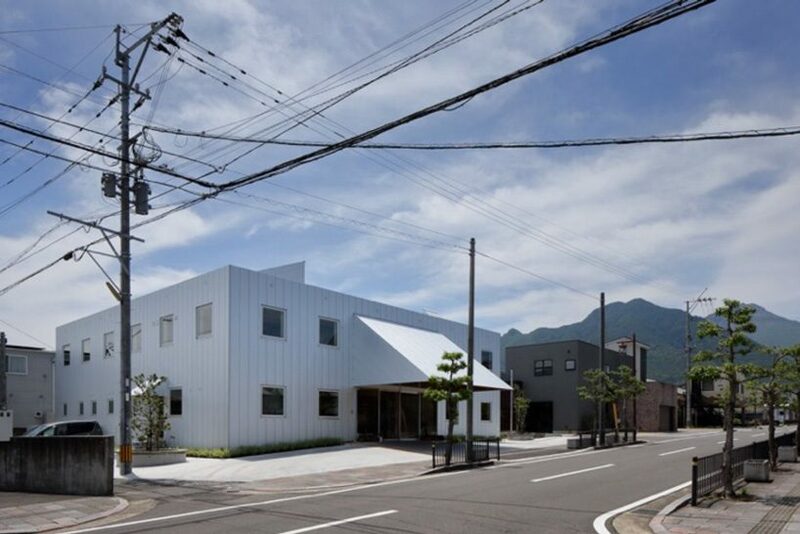 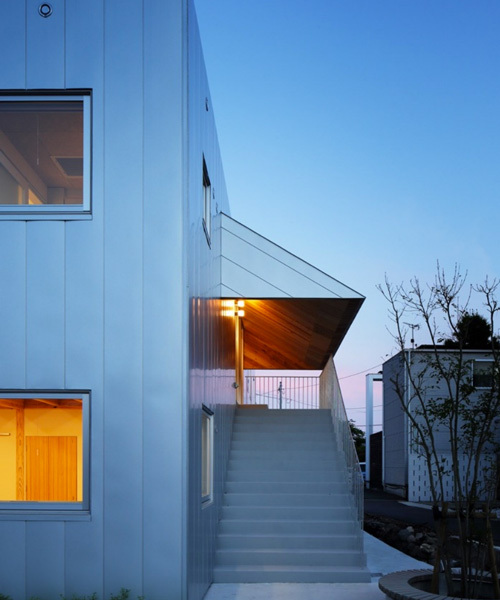 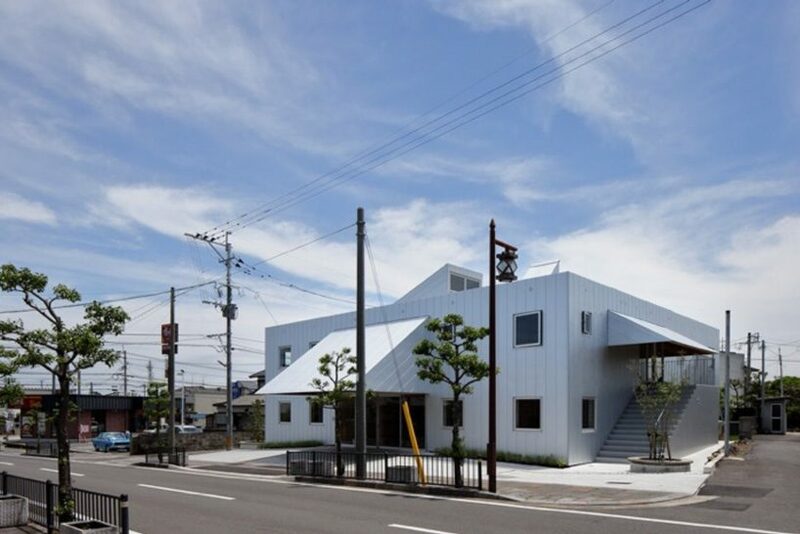 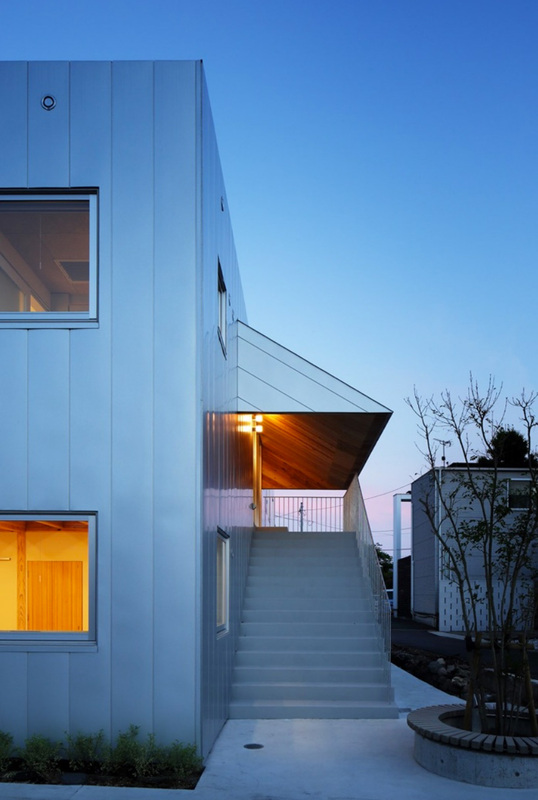 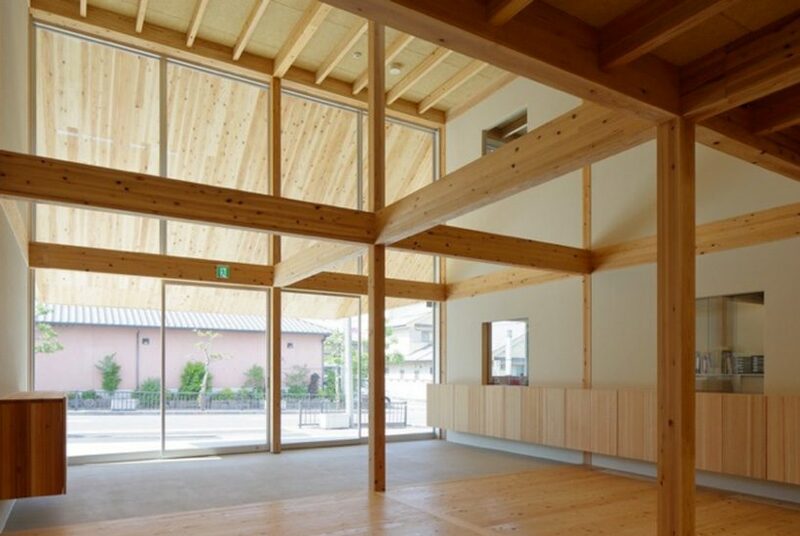 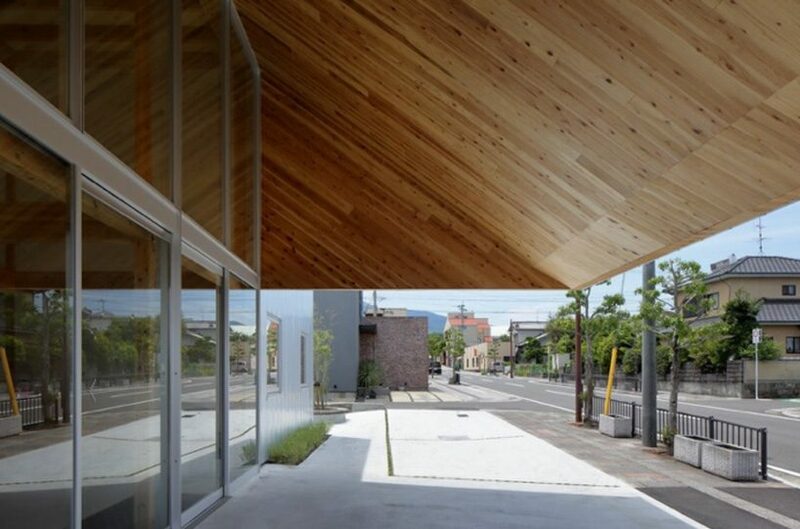 japanese architecture studio INTERMEDIA has completed a nursing home in the city of shimabara, nagasaki, with a thin triangular canopy that largely expands its interiors while connecting them to the urban surroundings. 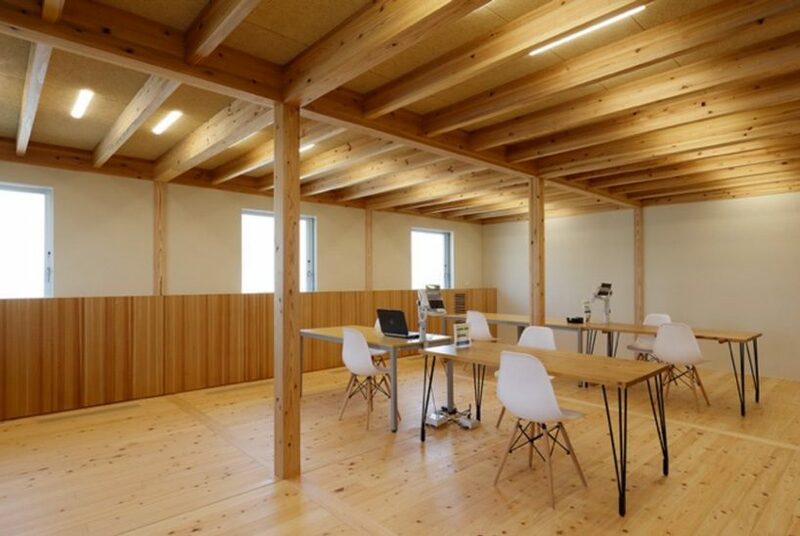 the project is built on a simple grid of wood, sourcing at least 80% of the total timber quantity from the nagasaki prefacture forest. 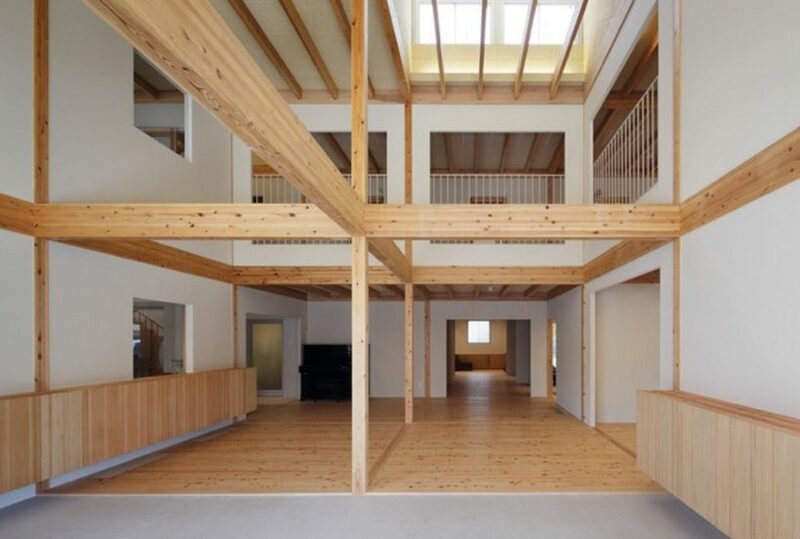 sho sasaki/INTERMEDIA has developed the layout of the nursing home on a square grid that enables a smoother circulation between spaces, and the residents’ easier understanding of them. 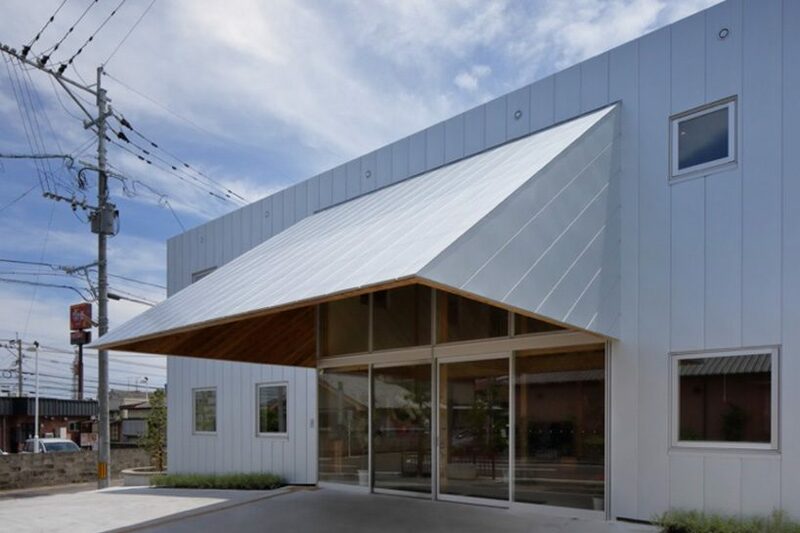 built on a 3 m × 3 m plan with 6 spans each, the delicate structure opens up and connects to the town while necessary parts are closed off carefully. 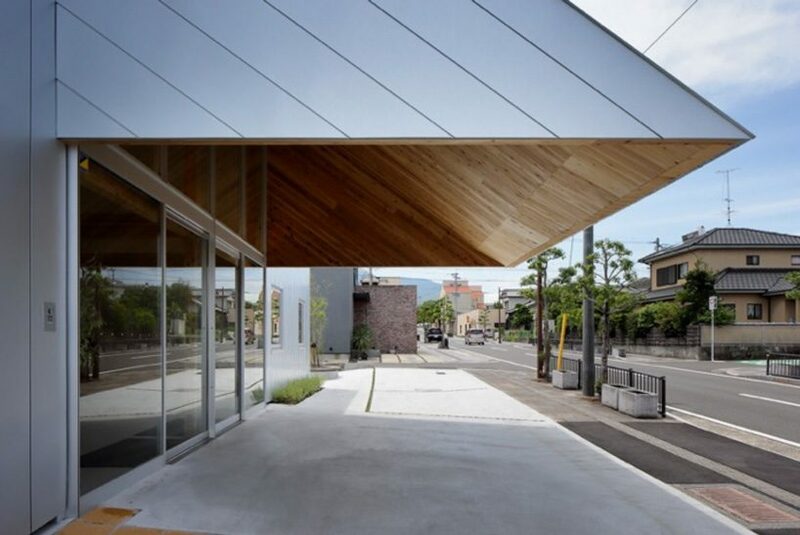 the thin triangular canopy has been created on the largest scale possible, dramatically expanding the inner space visually. 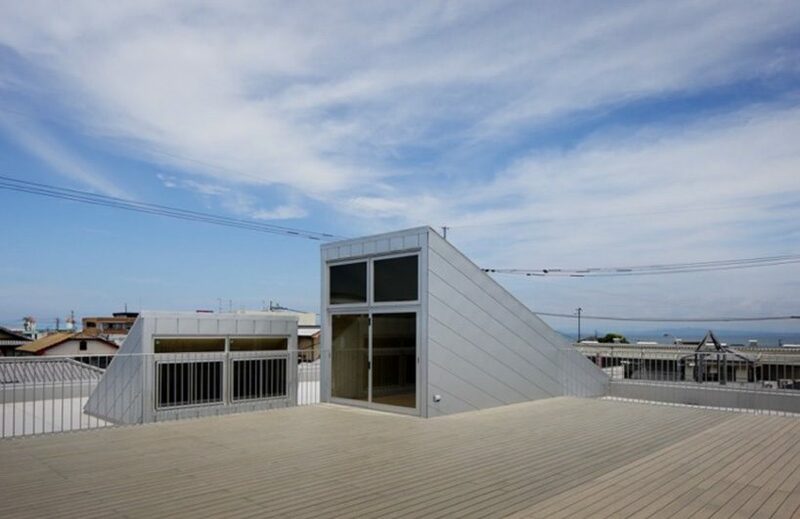 top lights, entrances to the rooftop etc., have all been made in the same way, while triangle-shaped openings appear from various surfaces. 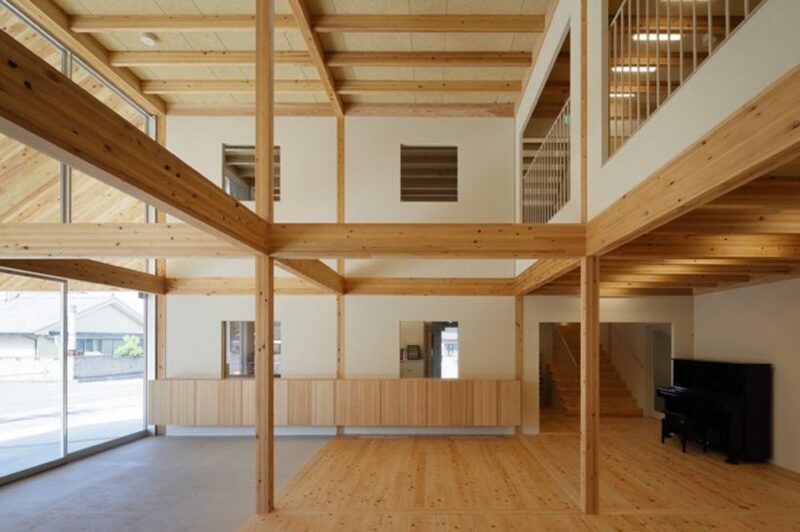 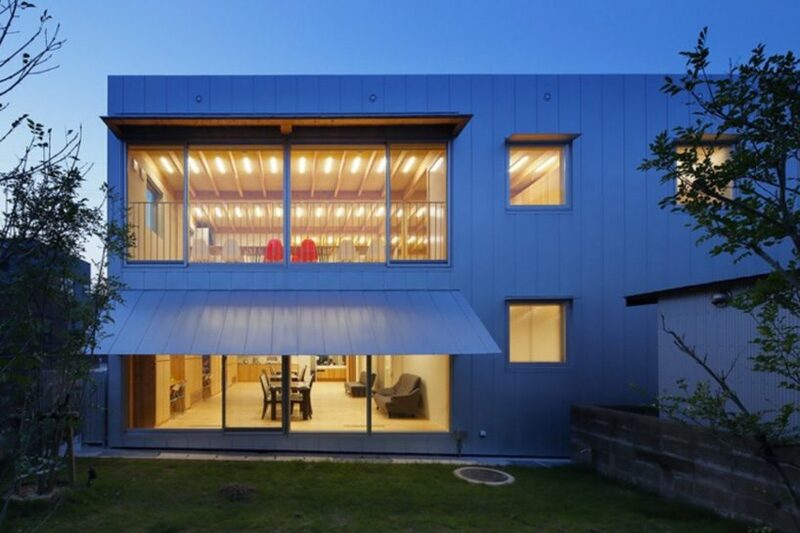 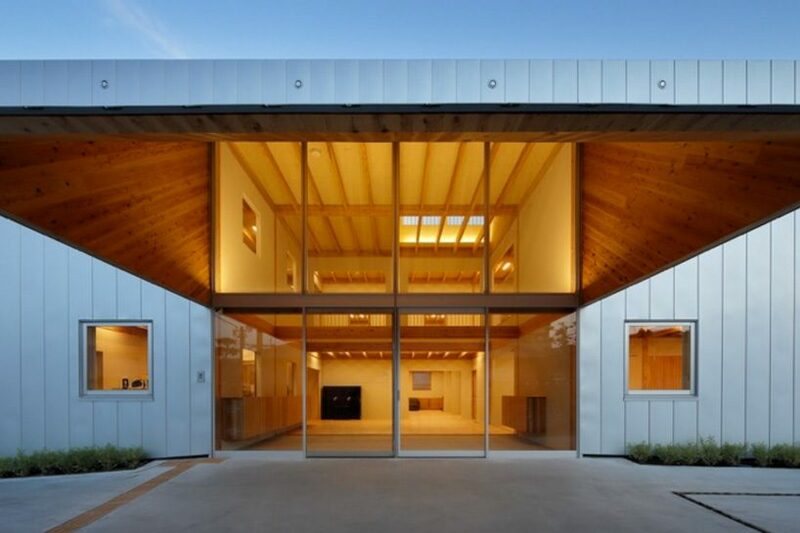 structural design: hirotsugu tsuboi structural engineering company inc.